42 mm black TR90 composite material and stainless steel case. Black dial with matching sunray dot and hands. Black polyurethane and stainless steel link bracelet with deployment clasp. Water resistant to 30 meters. 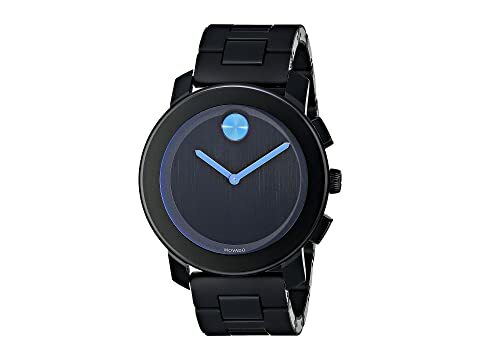 We can't currently find any similar items for the Bold - 3600099 by Movado. Sorry!